During my last gathering, I realized that I needed a few more boards to serve my snacks on. I didn’t have much time to go out shopping for boards so I decided to come up with a quick DIY project and create my own cutting/serving board. This is super easy and all the items can be found at a local dollar store. I picked up a light pine cutting board for $3. Then, I found some adhesive shelf and drawer liner for $1. You can choose from a variety of patterns: wood patterns, colour patterns and faux marble. Finally, I decided to go with the faux marble look. I decided that I wanted the marble section to be off centered so that you can see the natural wood on both sides of the board. The liner paper is super easy to use. Also, it has grid lines on the back so you can ensure that you are cutting your strips straight and neat. Once I cut out the paper, I unrolled the adhesive a little at the time so that I could ensure that I placed it smoothly without any wrinkles. I actually started on the back of the board and slowly wrapped it around one edge and over the top to the other edge. To make the marble look more realistic, I ensured that both sides were covered by the faux marble paper. I smoothed the paper out with my finger to ensure that the paper was neat and smooth. Voila! An instant faux marble cutting board that when used among some other higher end boards, looks very stylish. My guests never noticed that this board was a DIY project- it looked that realistic! Here are a few other ideas to create a stylish cutting/display board. 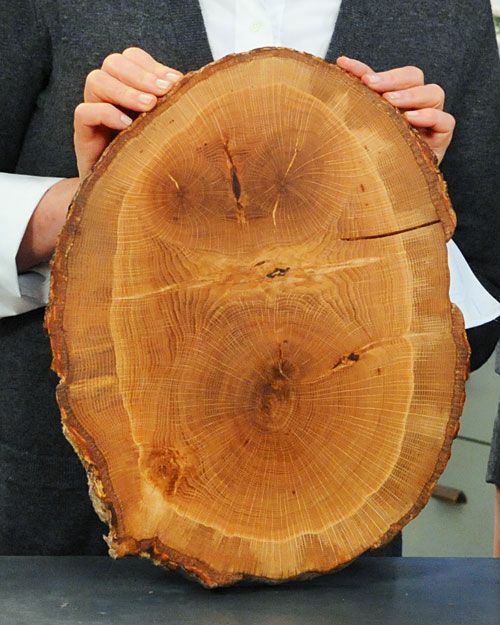 First, Fallen Tree Cutting Board is a Martha Stewart DIY project that looks beautiful and is super easy to recreate-not to mention how environmentally friendly it is. 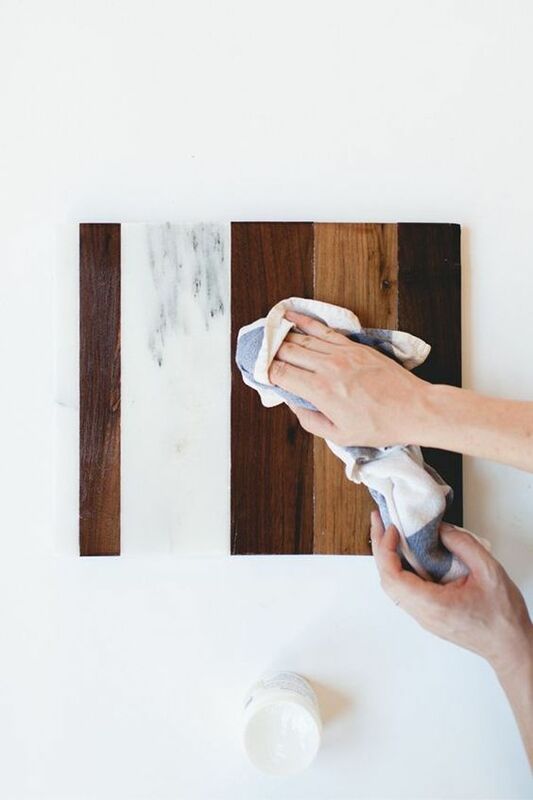 Next, I’m super impressed with this marble and wood cutting board by Coco + Kelly. It looks very high-end. This project involves a few more steps but I love how real marble pieces are used to create this board. What about a personalized cutting board? The Neeley Grange created a beautiful project using a wood burning tool to engrave the board. Creating a monogrammed board would be an incredible gift for anyone! I hope you’re inspired to try creating your own DIY cutting board! It’s great fun to mix your own projects with store bought items to personalize your own decor style. What are your go-to entertaining tips? Leave me a comment to share your ideas. Also, if you enjoyed reading this post, please don’t forget to share with your friends!